Officials with the Environmental Protection Agency say the agency is still working to meet its previously announced target years for when it hopes to decide upon final plans to clean up the various Sherwin-Williams related superfund sites in the Voorhees/Gibbsboro area. For those Voorhees residents concerned about the health of Kirkwood Lake, which sits at the bottom of the Sherwin-Williams/Hilliard’s Creek superfund site, that means a decision from the EPA regarding how the lake should be cleaned is still off somewhere in 2018 or 2019. “Records of Decision,” or RODs as they are often referred to, are the final public documents released by the EPA that detail the specific cleanup methods that must be used to remedy a given superfund site. 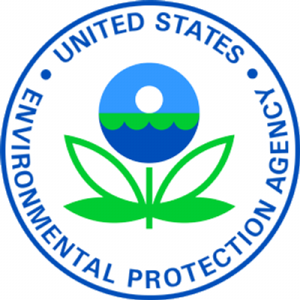 Once the EPA finalizes a ROD, the agency then works to implement the remedies outlined within. The first ROD the EPA announced for the Sherwin-Williams related superfund sites in the area was presented to the public in September of last year and related to a plan to clean up lead-contaminated soil from more than 30 residential properties at the Sherwin-Williams/Hilliard’s Creek Superfund site in Voorhees and Gibbsboro. The cause of the environmental issues in the area dates back to the mid-1800s, when John Lucas & Company, and later Sherwin-Williams, operated a paint varnish manufacturing facility in Gibbsboro until 1977. EPA officials and documents say over the course of decades, the facility was responsible for leaking tanks and improper storage and handling of materials that resulted in spills and releases, as well as direct discharge of materials to surrounding waterways. The area where the EPA is currently working to finalize its next ROD is what’s known as the Route 561 Dump Site in Gibbsboro, which is 700 feet to the southeast of the former manufacturing plant and was used to house discarded waste from the facility. After dumping ceased at the area, the site was later partially developed and now includes businesses, a vacant lot, a small creek and wetlands. Richard Puvogel, EPA section chief of central New Jersey remediation, said the remedy the EPA has proposed for the Route 561 Dump Site is similar to the remedy selected for the residential properties last year, as it involves excavating about 23,000 cubic yards of soil contaminated with lead and arsenic. However, Puvogel said the plan is also different in some ways, as it also involves installing a cap consisting of soil or asphalt cover to act as a barrier in parts of the site to prevent contact of any residual elements. As with the work on the residential properties, the EPA anticipates the proposed cleanup of the Route 561 Dump site, if finalized, will be conducted and paid for by Sherwin-Williams under EPA supervision. EPA press officer Elias Rodriguez said EPA officials will also coordinate with property owners during the eventual cleanup process to minimize inconveniences such as partial road closures and other issues. From now through July 12, members of the public can send their written comments concerning the cleanup of contaminated soil at the Route 561 Dump site to: Renee Gelblat, Remedial Project Manager, U.S. EPA, 290 Broadway 19th Floor, New York, New York, 10007–1866 or at gelblat.renee@epa.gov. To view the proposed Route 561 Dump site plan, visit www.epa.gov/superfund/route-561-dump. Kirkwood Lake still sits at the end of the EPA’s schedule for determining cleanup methods for the Sherwin-Williams related superfund sites in the area, as the lake is farthest downstream and there could be recontamination of the lake upstream. The last projected date for a ROD for Kirkwood Lake was sometime in 2018 or 2019. “We’re still running along, shooting for those targets,” Puvogel said. Puvogel also said the EPA is still waiting on plans from Camden County regarding a county proposal to pay for and enact a potential dredging of the lake. In April, county officials said it was their belief the lake needed to be dredged to keep it alive and to prevent sediment from flowing to the Cooper River.